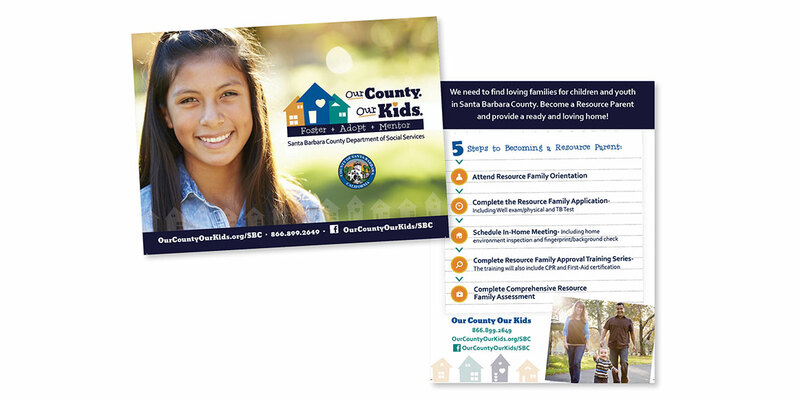 In 2016, CM+PR expanded its innovative foster care recruitment campaign to Santa Barbara County, where geographically garmented communities called for unifying language and imagery. In effort to unify this program across the county as well as garner more resource families for foster youth in need, CM+PR stepped in as a creative partner. The resulting brand – Our County. Our Kids. 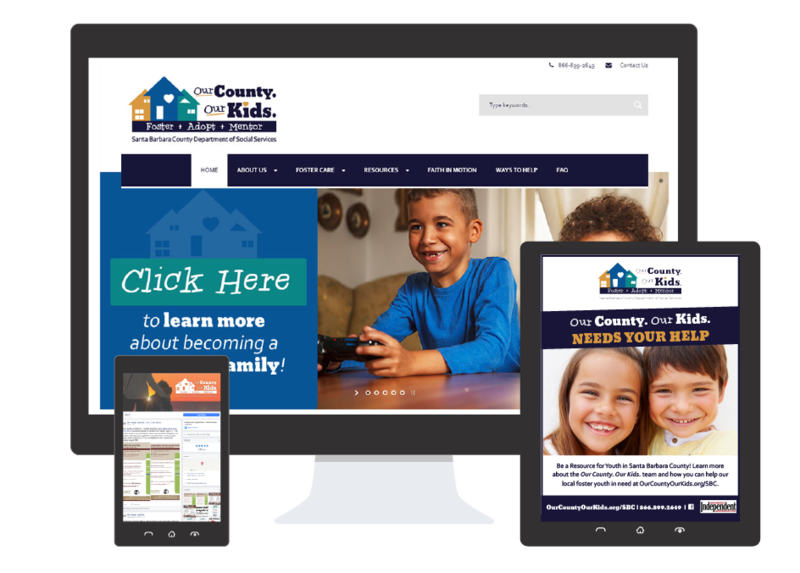 – utilizes the Five Pillar approach across three distinct media markets to transmit real stories of hope to the County’s ethnically and economically diverse population. Our County. Our Kids. purpose is to recruit loving resource families to provide familiar, safe and nurturing environment’s for children and families involved in foster care. Our website and design team developed an online presence through the creation of a new branded website, the integration of social media, and by launching a pay per click campaign. Re-branding to use new language based on our social justice work. A full media schedule including radio, print and digital advertising. Press and public relations outreach. Logo design, established brand guidelines and full suite of promotional materials. Brand new website design and a pay per click campaign. An integrated social media campaign and management.